August was cooler and more wet than normal BUT we went the last 11 days with no significant precipitation. Today, on September 1, that streak came to an end with more than a 1/4" of rainfall. Some areas to our south received much more rain this morning including 1.12" on Paul Golden Road near Sparta. Today's forecast is for a 60% chance of thunderstorms mainly this morning with a high this afternoon of 86°. South winds will become southwest during the afternoon. For tonight, expect a 50/50 shot at scattered thunderstorms with a low of 72°. Your Labor Day forecast is for a 50% chance of thunderstorms under a partly sunny sky and a high of around 86°. I don't expect it to completely ruin your outdoor activities on Monday. The rest of the week is looking sunny and dry with highs in the lower 80's and lows in the lower 60's. Did you know we've had a streak of 13 straight days in which the thermometer has reached at least 84° including hitting 90° the last two days in a row? 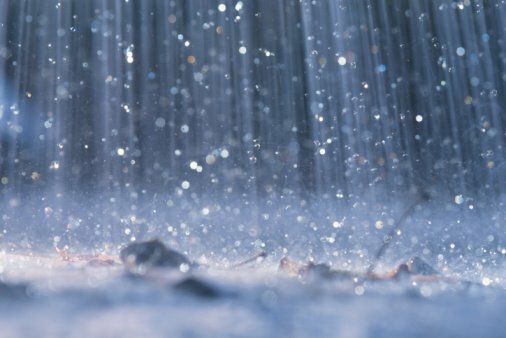 August, with 7.06" of rainfall, was the 6th month in a row that precipitation was above normal and the 8th time in 9 months that we exceeded our average monthly rainfall. It was also the 11th time in the last 13 months we exceeded the average. The hottest days in August were this past Friday and Saturday with identical high temperatures of 90.0°. The coolest morning was August 15th at 54°. The most rain fell on August 8th with 3.69".